We Have Hundreds of Sign Supplies Featured In Our Massive Online E-Catalog Ready for Purchase! 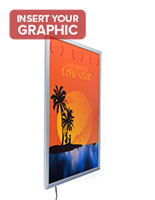 These Quality Sign Supplies With LEDs Are A Dazzling Lighted Display That Is Affordable As Well! 20" x 30" 22" x 28" 24" x 36" 27" x 40"
Thin profile (.83") is perfect for use in walkways or high-traffic environments. 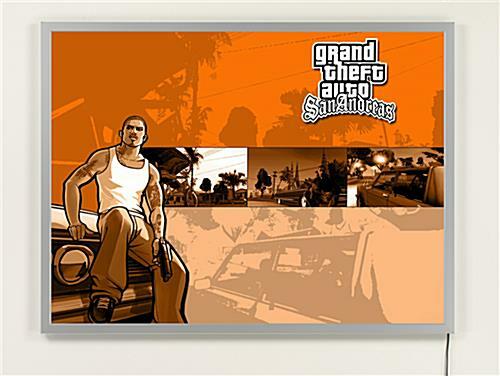 Holds standard-sized 18" x 24" prints. 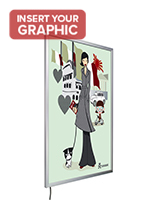 Bulk sign supplies that exhibit 18" x 24"s are designed to highlight appealing images or media content to attract more awareness towards your store, its merchandise, or business attributes. These well lit sign holders employ LED technology so that the exhibit will remain bright for long-term usage. These sign supplies that utilize LED bulbs can run all day, seven (7) days a week, for years at a time. These versions will last for a very long time! 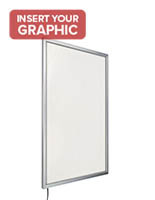 Sign supplies that last, also known as fine LED frame showcases, make fantastic advertising aids. They can accentuate your publicizing images in a way that no other frame is able to. Sign supplies, utilizing LED technology, grant you the power to make long-lasting and brightly-illuminated demonstrations, all for an inexpensive cost. 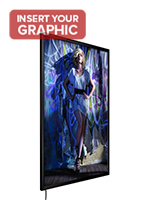 These LED frame exhibits incorporate a slender, clip-frame design for affixing your visual graphic images to a wall or flat surface area. At only .83" thick, these sleek sign supplies for sale occupy a small amount of wall space and so are ideally utilized in high-traffic places. 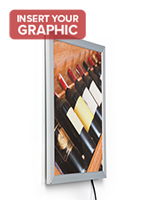 These showcases are truly a boon for commercial shops and public transit venues. 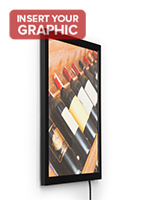 Sign supplies, also recognized as LED frame exhibits, are fitted with clip-open molding so you can immediately update an exhibit with new images. 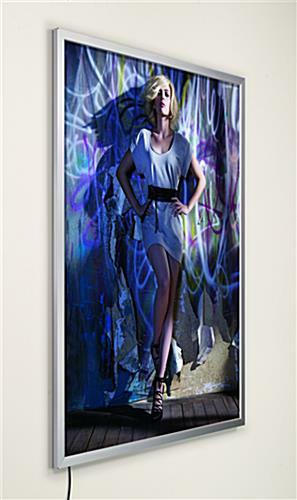 Just flick open the molding to slide in your 18" x 24" images. We also gave these fast opening sign supplies with two affixing preferences so you can exhibit both horizontal and vertical signage. 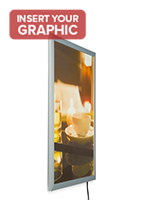 Orient showcases in the most appealing format for your exhibits! 18.9" x 24.9" x 0.75"